Peanut Butter Cup Low Carb Shake | Robert Mitchell Jr.
Here’s a shake that you can enjoy after a workout or anytime. It’s low carb and delicious (to me anyway). Nutrition info: Calories (285), Protein (17), Fat (21), Carbs (8), Fiber (4). †WARNING: This recipe contains raw eggs. I’ve regularly eaten raw eggs for years with no problem, and contend that if you wash the shells with soap and water before you crack them you’re fine (a 2002 study showed that only 1 in 30,000 eggs was contaminated, and most of those positives were for contamination outside of the shell). Others disagree. Eat raw eggs at your own risk. 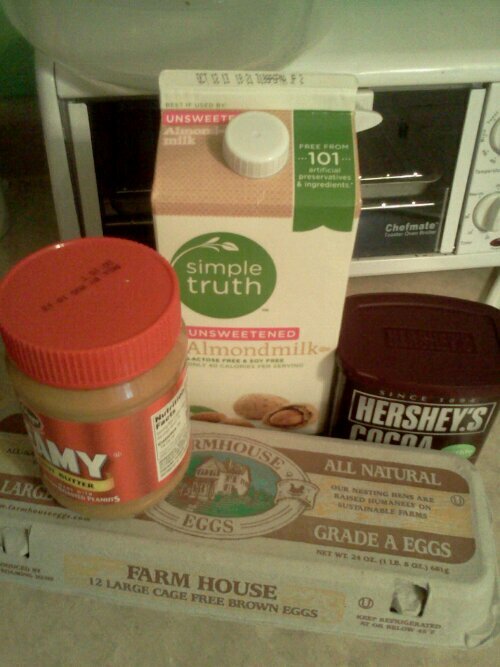 This entry was posted in Green, Martial arts and tagged recipe, shake. Bookmark the permalink. Pingback: Very Veggie Breakfast Shake | Robert Mitchell Jr.